As spring ends in Las Vegas the atmosphere changes from pool parties populated with college students and never ending sporting events to warmer weather and daylife vs nightlife conundrums. June brings the beginning of summer and the longer days by the pool. 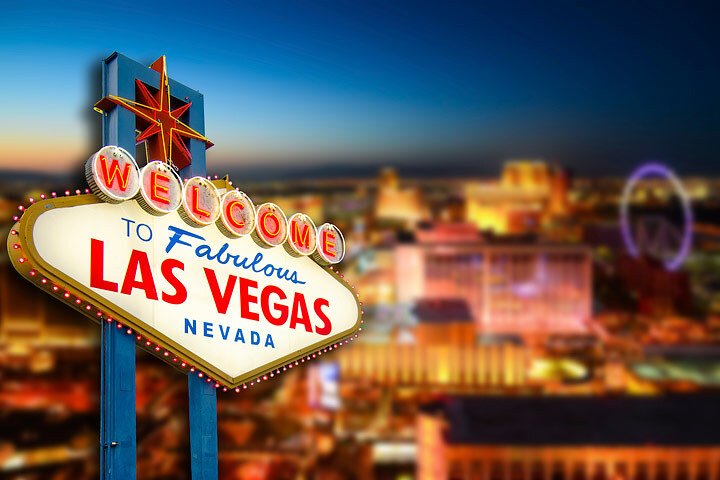 Early June also brings lower hotel rates and the beginning of the summer promotions at many of the Las Vegas Hotels. Grab the extra large bottle of sunscreen, a good book and waste a day at the pool in June in Las Vegas. It is warm in June, it’s not unbearable hot like July but it is warm. Ok, it’s hot; a high of just under 100 degrees is pretty average. However, the mornings are pleasant and if you spend the morning hours at the pool you will find that you are not bothered all that much by the heat. On a 100 degree day the temperature will skyrocket after about noon so you have a lot of day light hours to grab some rays and then take a long nap in your room before you heat up the strip yourself at night. Also, evenings are nice and it’s a dry heat anyway. Long days mean a lot of daylight so find an outdoor spot to do some people watching. 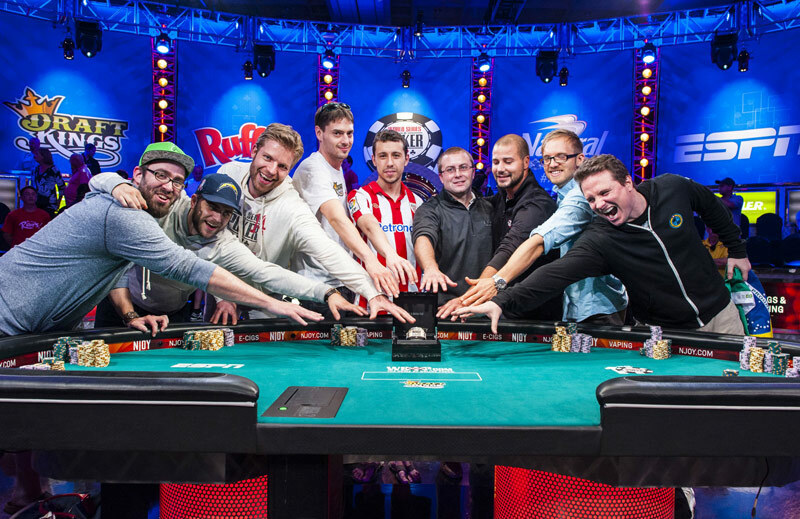 The World Series of Poker is going on all month at the Rio, even if you don’t play you should at least go look at this spectacle. Hundreds of tables that hold thousands of poker players across an expanse of convention hall space make for an incredible sight. Summer usually brings some interesting pool parties and concerts so keep an eye open for more headliners. Take a look at what is happening this week in Las Vegas to get a good idea of what is in store for you. Check out some real good summer hotels in Las Vegas. This is the time of year when hotels open up their promotions book and let you have at it. You should find some real good deals to help you save some money on a trip to Las Vegas this June. 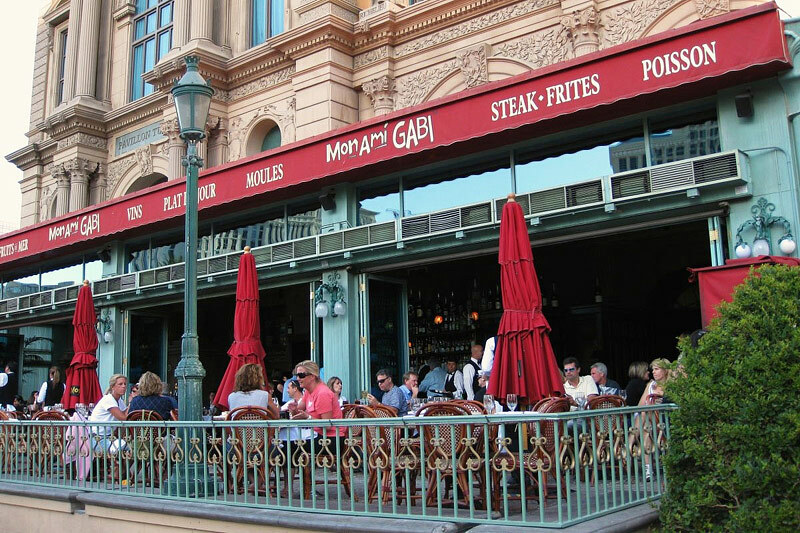 It may be too warm to sit outside and enjoy a drink but if you want a late night meal on a a patio try Mon Ami Gabi at Paris Las Vegas. A midnight snack while watching the Las Vegas strip is pleasant because the temperature is usually comfortable enough to sit outside and enjoy the view. Other spots with a patio to enjoy the Las Vegas summer environment include Double Barrel Saloon at Monte Carlo, Lakeside at Wynn, Lago at Bellagio and Rivea at Delano Hotel. If you are eating inside but want to feel like you are outside try Enoteca Otto, Trevi or Margaritaville. 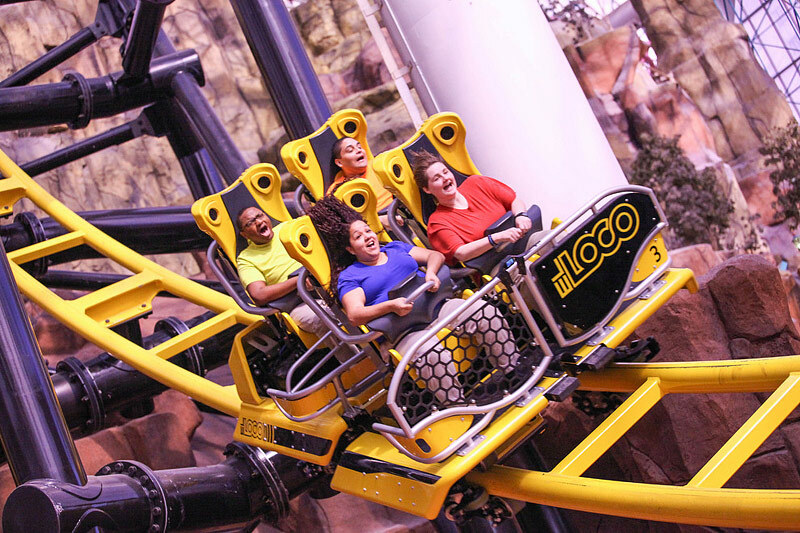 If you are looking to keep cool but still want some action head to Circus Circus and try Adventuredome. If you like the outdoors you could visit Mt. Charleston and experience the Southern Nevada mountains. Still looking for thrills, hit the Thrill Rides in Las Vegas and get your adrenaline going. You could also head over to the Springs Preserve on Thursdays for the Framers Market followed by their cafe concerts. The June theme is Jazz and Juleps and the concerts go until 9 pm. If you have the kids they have a series of kids concerts each Saturday afternoon.